We all know that choosing the baby’s first carrycot, or travel system is complex. With all the modular elements to consider, alongside the practicalities of handling, colour and convenience, not to mention the huge choice of brands and price points, it’s one of the toughest challenges and biggest investments that they will make before the baby’s arrival. Our advice for parents-to-be is to look at your existing lifestyle needs and convenience as your number one priority. If you live in a city, size and storage are often key factors and a full modular system can be a daunting prospect. So, we really took notice when BABYZEN introduced the YOYO+. This is the one product that ticks all the boxes for being the ultimate in convenience, comfort and style. This game changing stroller offers parents the ultimate lightweight travel system from birth! The BABYZEN YOYO+ folds in an instant and even folds small enough to be taken right onto the plane as hand luggage. With a YOYO+ Travel System, it’s never been easier to meet up with friends for a drink, catch a cab, hop onto a bus, or even fly to the other end of the world with your baby. From birth, the YOYO+ can be used with its new born pack, which works as lie-flat stylish parents facing stroller. Your baby will enjoy a comfortable and undisturbed ride thanks to the YOYO+’s 4-wheel suspension, and “soft drive” system. The addition of the car seat adaptors means that baby can be switched from the car to the YOYO+ with one click. From six months old, on the same frame, simply change to the 6+ fabrics and your stroller is suitable for children weighing up to 18kg. When folded the YOYO+ is small enough to take on a plane as hand luggage and, at a lightweight 6.2Kg, can be carried over the shoulder like a bag. With one-hand folding, unfolding and driving, this innovation is hugely desirable for busy families on the go. But, where the BABYZEN YOYO+ really leads is in understated style. It has become a staple celebrity accessory, counting Justin Timberlake, Keira Knightly, Eddie Redmayne, Janet Jackson, Kim Kardashian and Serena Williams as fans. And as their families grow, so does the YOYO+. Constantly on the lookout for innovations that make life simpler for parents, BABYZEN has invented the multipurpose YOYO+ bag, to ease your daily load. Whether it’s the weekly shopping, a pack of bottled water, soft toys or an extra set of clothes, the YOYO+ bag effortlessly carries up to 10 extra kilos, thanks to its rolling base. With 2 colour chassis – black and white, and 7 colour packs, black, grey, ginger, peppermint, red, navy blue, and taupe, there is plenty of choice to make it fit your style. Whitestep is a company specialising in baby and children’s products with a twist, filling a gap in the UK market by sourcing cool, innovative brands that offer stylish, revolutionary items that are loved by both parents and their children. We feature the award-winning BABYZEN range of pushchairs and accessories. 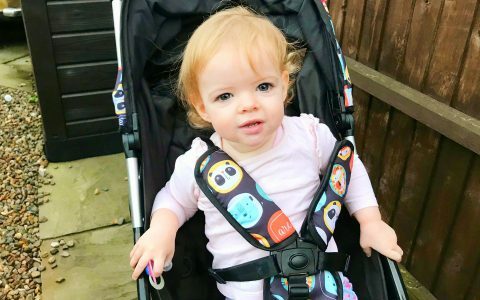 If you’re looking for a lightweight stroller then the BABYZEN YOYO+ is bursting with innovation and is famous worldwide for their easy fold mechanism and revolutionary compactness.